Yoga and Body Image Book Discussion and Yoga Asana. 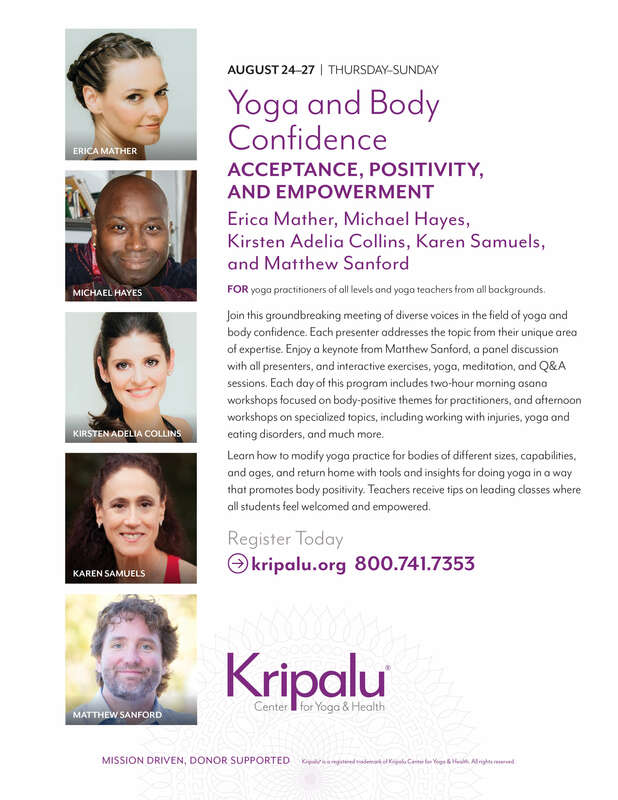 This is a donation based class with 100% of the donation going to the Yoga and Body Image Coalition. 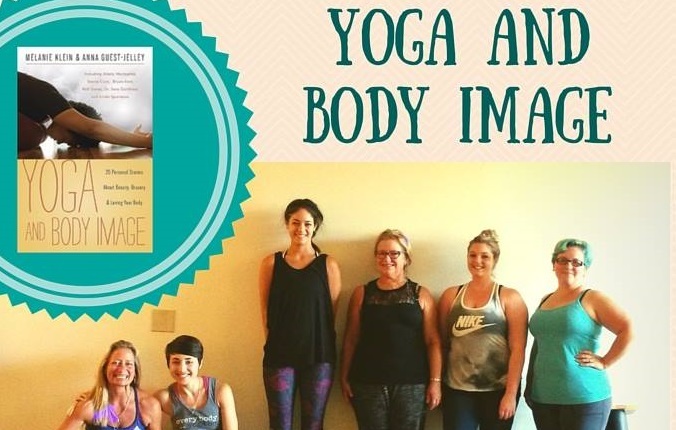 In the book, “Yoga and Body Image: 25 Personal Stories about Beauty, Bravery, and Loving Your Body,” Melanie Klein and Anna Guest-Jelley bring together a diverse group of writers to share their voices and experiences related to the complexity of issues around yoga and body image. This important and powerful book has become the basis for the Yoga & Body Image Coalition’s mission and activism around the world. These series of yoga classes and book discussions will center around the book’s essays and main themes. 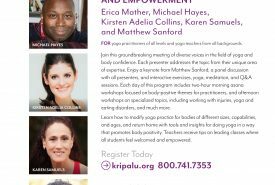 Classes will begin with a brief meditation, followed by a discussion based on one of the 6 sections from the book, “Yoga and Body Image” and will conclude with a Yoga asana (physcial practice) for all levels. Sound familiar? Yeah, I know…even after years of work on my own body image stuff I still have this thought from time to time. The good thing is now I know what can help me get out of this comparison game – yoga. Welcome to Yoga and Body Image; A supportive group of new and experienced yogis where you can share your story in a safe and loving space free of judgment and full of acceptance. 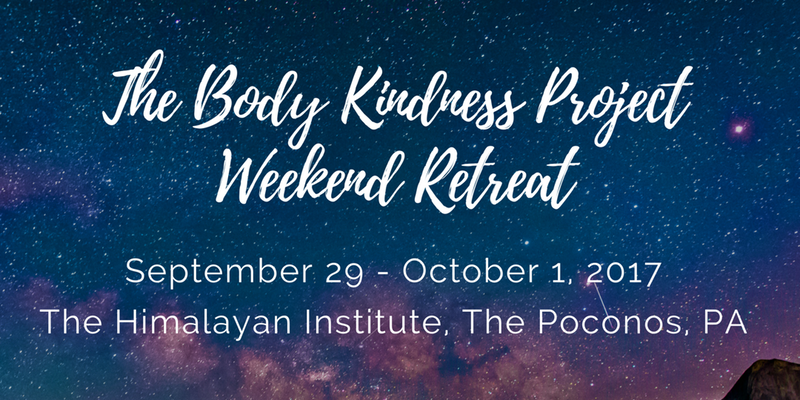 At the heart of our workshop is the book, “Yoga and Body Image; 25 Personal Stories About Beauty, Bravery and Loving Your Body” in which we discuss and explore it’s different themes and topics. To purchase and/or learn more about this ground-breaking book click here. 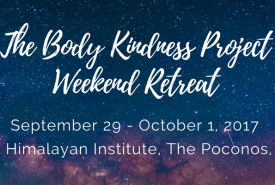 Join Robyn Baker, the founder of Asteya Fitness (Orange County’s only body positive yoga and Pilates studio) for a morning of honest group discussion (and connection), body-positive support and encouragement, all-level/restorative physical practice and an incredible sound bath to close. Come join a tribe of like-minded individuals for a morning of connection and empowerment. This months topic is comparison and owning your authentic beauty. (Yes! I said beauty!) This is something I’ve struggled with for a long time and may be you have too. As always, you may attend just to observe, be present and supportive – speaking and sharing is encouraged but not required nor is practicing the physical yoga. Showing up authentically is the name of the game. Light snacks and water are provided as well as towels. Please bring your own mat as there are only a few mats to borrow. Chairs and bolsters are available if sitting on the floor is not for you. There is only space for 12 yogis in the studio so please sign up and commit to showing up.